This is a scalable context timeline. It contains events related to the event August 30, 2001: CIA Officer Expresses Frustration at FBI’s Inaction on Moussaoui, Predicts Suicide Hijacking in US. You can narrow or broaden the context of this timeline by adjusting the zoom level. The lower the scale, the more relevant the items on average will be, while the higher the scale, the less relevant the items, on average, will be. 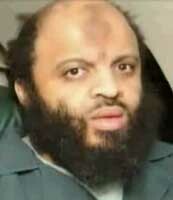 Fayez Ahmed Banihammad. [Source: US District Court for the Eastern District of Virginia, Alexandria Division]9/11 facilitator Mustafa Ahmed al-Hawsawi uses a cash deposit to open a checking account at a Standard Chartered Bank branch in Dubai, United Arab Emirates (UAE). (Al-Hawsawi is thought by some to be an alias for Saeed Sheikh, see September 7-10, 2001 and September 24, 2001-December 26, 2002). Hijacker Fayez Ahmed Banihammad opens a savings account and a checking account with approximately $30,000 in UAE currency, at the same branch. [MSNBC, 12/11/2001; 9/11 Commission, 8/21/2004, pp. 138 ] Banihammad, a UAE national apparently from the Emirate of Sharjah, flies to the US two days later. [US District Court for the Eastern District of Virginia, Alexandria Division, 7/31/2006 ] Banihammad gives power of attorney to al-Hawsawi on July 18. 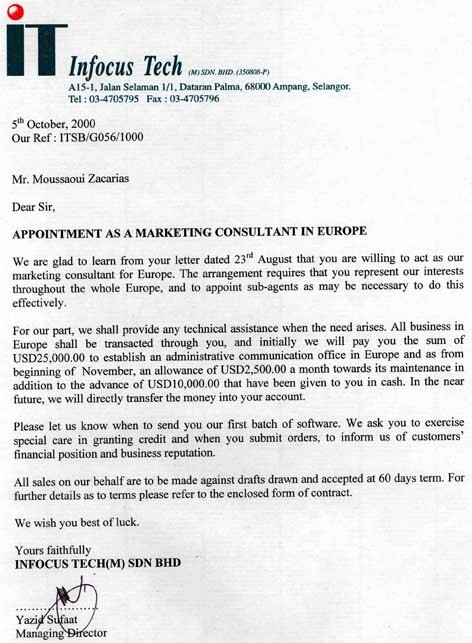 Then al-Hawsawi sends Visa and ATM cards to Banihammad in Florida and deposits an extra $4,900 in Banihammad’s account (see Early August-August 22, 2001). Banihammad uses the Visa card to buy his and Mohand Alshehri’s airplane ticket for 9/11. [MSNBC, 12/11/2001; Washington Post, 12/13/2001; US District Court for the Eastern District of Virginia, Alexandria Division, 7/31/2006; US District Court for the Eastern District of Virginia, Alexandria Division, 7/31/2006 ] Several other hijackers have foreign accounts that they use while they are in the US (see December 5, 2000). 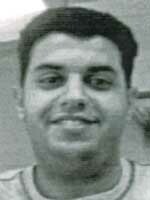 Hani Hanjour opens an account with First Union National Bank on August 23, 2001 with a $50 deposit. He then attempts to withdraw $5,000 on September 5 and $4,900 from it on September 7, despite it containing nothing but the original $50. Unable to make the withdrawal, he cashes a $20 check instead. Hanjour closes the account the next day. [US District Court for the Eastern District of Virginia, Alexandria Division, 7/31/2006 ; US District Court for the Eastern District of Virginia, Alexandria Division, 7/31/2006 ; US District Court for the Eastern District of Virginia, Alexandria Division, 7/31/2006 ] These hijackers will subsequently fly on three of the planes on 9/11. In its Terrorist Financing monograph the 9/11 Commission will note: “Among other things they used the debit cards to pay for hotel rooms—activity that would have enabled the FBI to locate them, had the FBI been able to get the transaction records fast enough. 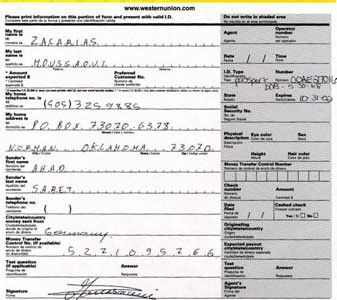 Moreover, Alhazmi used his debit card on August 27 to buy tickets for himself… and fellow Flight 77 hijacker Salem Alhazmi. If the FBI had found either Almihdhar or Nawaf Alhazmi, it could have found the other. 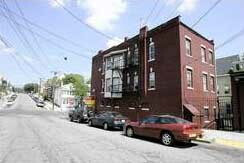 They not only shared a common bank but frequently were together when conducting transactions. 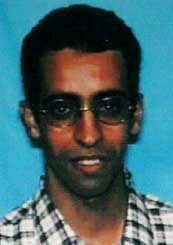 After locating Almihdhar and Alhazmi, the FBI could have potentially linked them through financial records to the other Flight 77 hijackers… Nawaf Alhazmi and Flight 77 pilot Hani Hanjour had opened separate savings accounts at the same small New Jersey bank at the same time and both gave the same address. On July 9, 2001, the other Flight 77 muscle hijacker, Majed Moqed, opened an account at another small New Jersey bank at the same time as Nawaf Alhazmi, and used the same address. 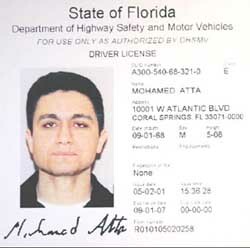 Given timely access to the relevant records and sufficient time to conduct a follow-up investigation, the FBI could have shown that Hani Hanjour, Majed Moqed, and Salem al Hazmi were connected to potential terrorist operatives Almihdhar and Nawaf Alhazmi.” [9/11 Commission, 8/21/2004, pp. 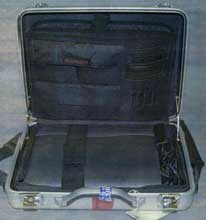 58-59, 141 ] The hijackers also open several other bank accounts (see June 28-July 7, 2000). Richard Blee (“Richard”), Wilshire’s boss, who apparently failed to pass on information about Almihdhar to his superiors (see August 22-September 10, 2001). The names of the CIA officers who threaten the Commission are not known, nor are the details of the alleged negligence by the senior officials.